This weekend my family came with me to hunt fossils in the Jemez mountains of New Mexico. We hunted fossils along Route 4, where I understand collecting is legal and ethical. 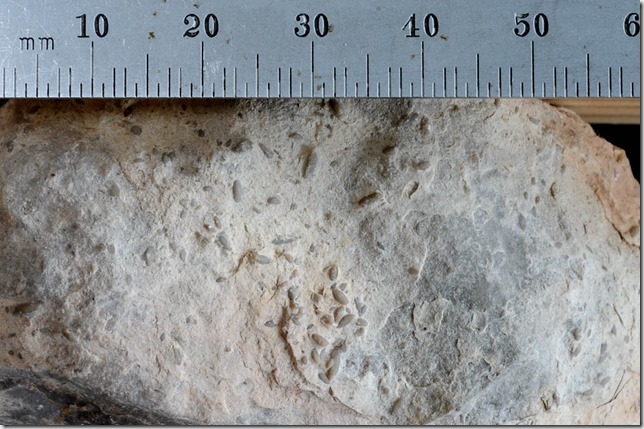 The fossils we were looking for are quite common, mainly brachiopods (similar to clams), and crinoids (a kind of anemone). 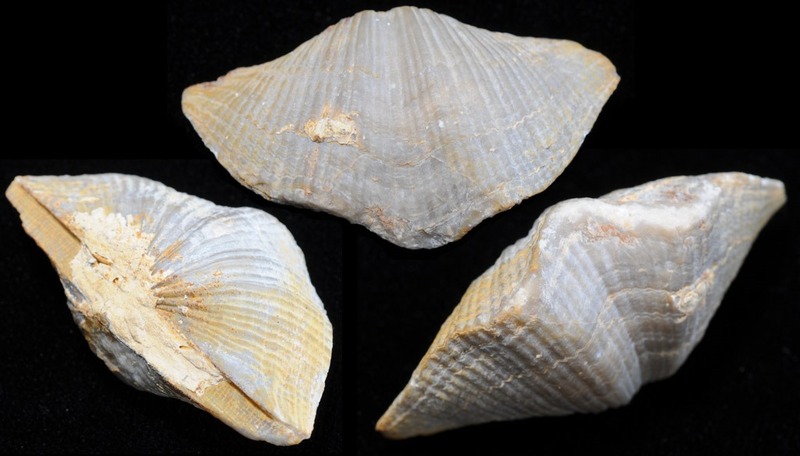 These fossils are common in the Pennsylvanian group, especially in the Madera subgroup. 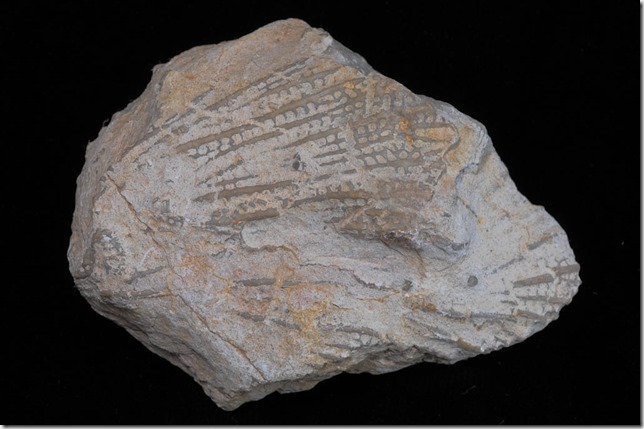 These strata were laid down in the Late Carboniferous period from about 323 to 299 million years ago. I had excellent fun assembling our fossil hunting map. I used the grand open source QGIS geographic information system software, importing the road layers from the Open Street Map project through QGIS’ built-in plug in. 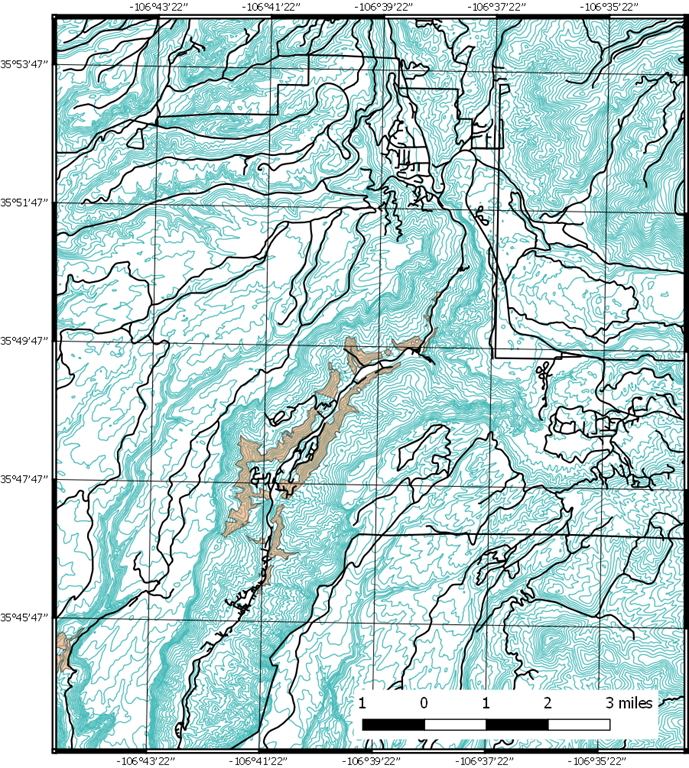 The topographic information came from the USGS 1 m digital elevation model, which I traced at 25 meter intervals. 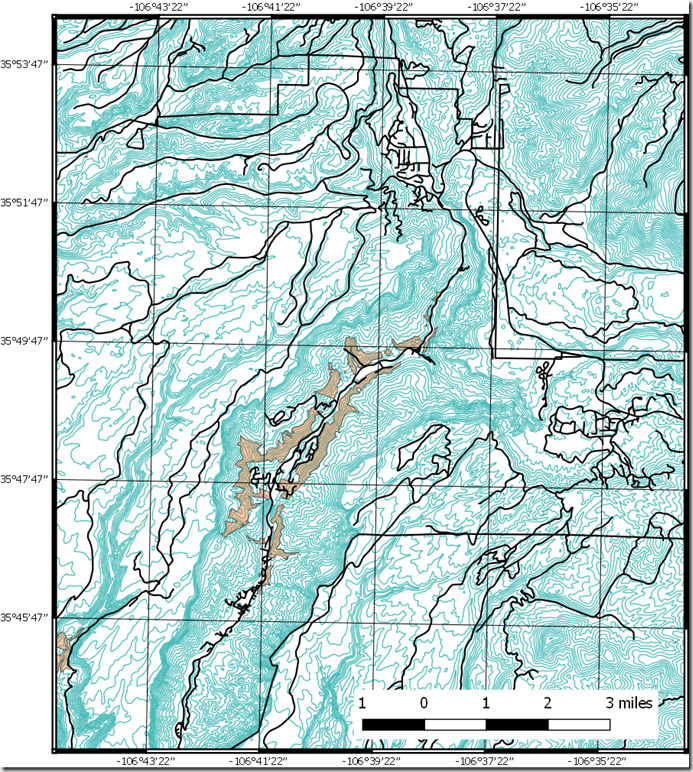 The New Mexico Geological Survey provided a very detailed geological map of the Jemez Springs area, from which I selected the Pennsylvanian Madera sections. The total map is assembled in the following graphic. 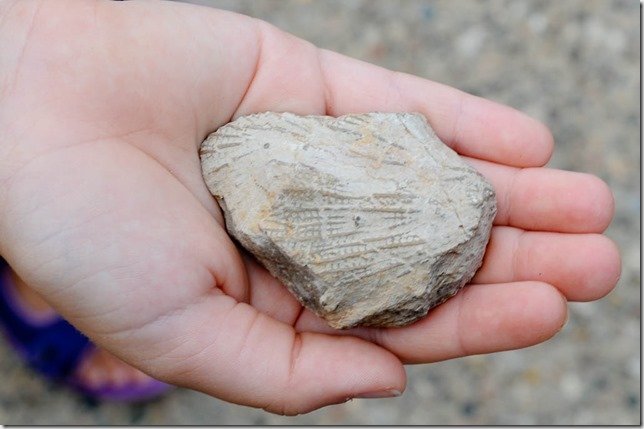 My daughter found a crinoid calyx, or at least I believe that is what it is. You can see the fan-like structure at the top of the crinoid tapering to one end where the frond-like structures joined the stem. My son found a brachiopod, which was nearly completely isolated from the surrounding matrix, and it is nearly flawless without preparation. 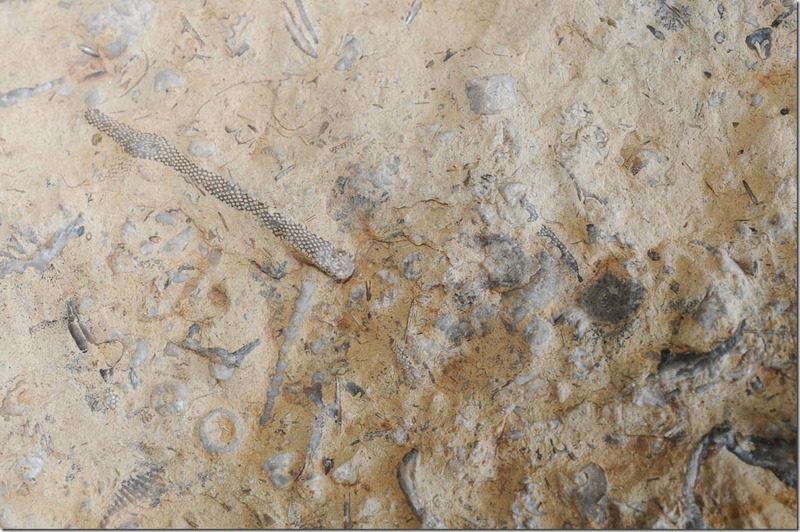 I composited three perspectives of the same fossil to show all angles. I found a collection of small sesame-seed sized bumps, which I believe are fusilinids. These are shells deposited by single-cell animals, which makes them gigantic as single-cell animals go. I’d like to cross-section one, since some fusilinids have really complex structures. We also found an assortment of random bits piled together. It seems like a story of the past, I just can’t read. I don’t know what all the elements are, but I recognize sundry crinoid stem segments and shell pieces. I don’t know what the long stem-like structure is left of center, but it has a fascinating look. We had fun, found far more fossils than I expected, of far more types. 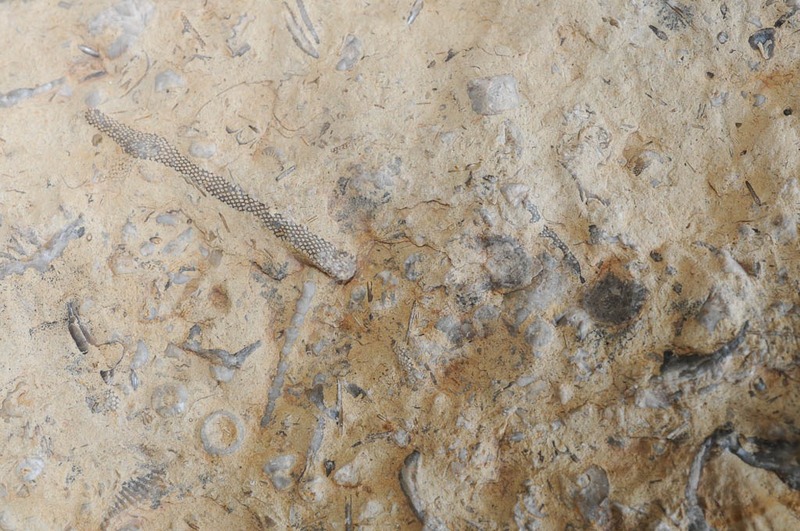 Next, I want to learn some amateur fossil preparation. 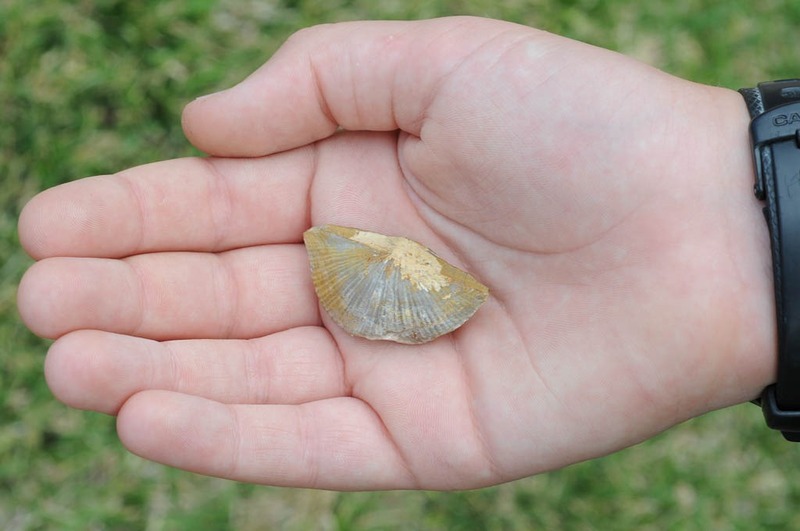 So amazing to hold the remains of something that lived 300 million years ago in your hand.